Human evolution clicker game: Rise of mankind - control evolution and inhabit the planet by incredible creatures having unbelievable abilities! 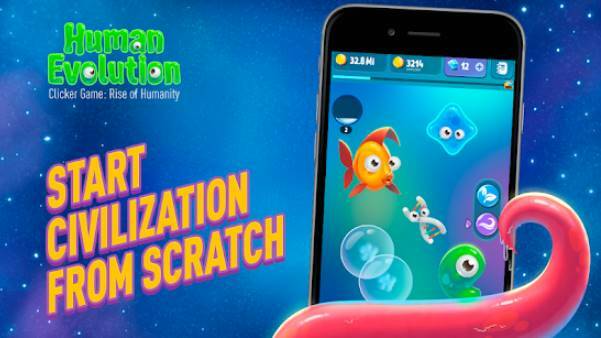 Get ready for incredible discoveries waiting for you in this Android game. Go through many stages of life development from viruses and bacteria to people and cyborgs. Combine animals to get new breeds and kinds. Change genes of living creatures and get unique results. Create a highly developed civilization on the planet. Don't stop and reach fantastic success. 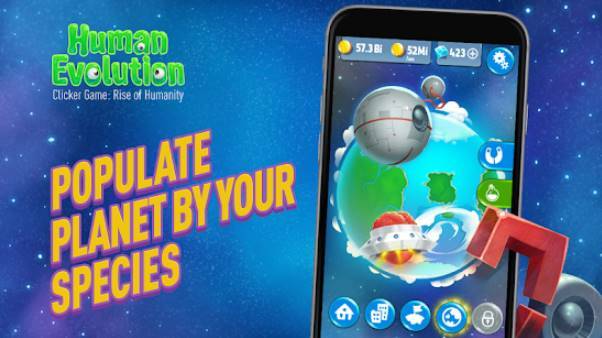 Download now the MOD APK of Human evolution clicker game: Rise of mankind for free, only at sbenny.com. Thanks for posting, will test and vote.